At Sunrise Park, Habitat for Humanity of Greater Charlottesville successfully pioneered the concept of trailer park transformation without resident displacement. The resulting 70 unit mixed-income neighborhood features 32 Habitat homes in addition to market rate homes built by Southern Development. The last Habitat home was completed in 2014, and the final phase of market rate development is expected to be underway in 2018. Neighborhood amenities include a neighborhood center with a commercial kitchen, yoga room and shared patio; two large common green spaces; and environmentally friendly features such as pervious paving and underground cisterns for capturing stormwater. Sunrise is situated next door to Big Brother Big Sisters and is within walking distance of downtown Belmont and the Rivanna River. 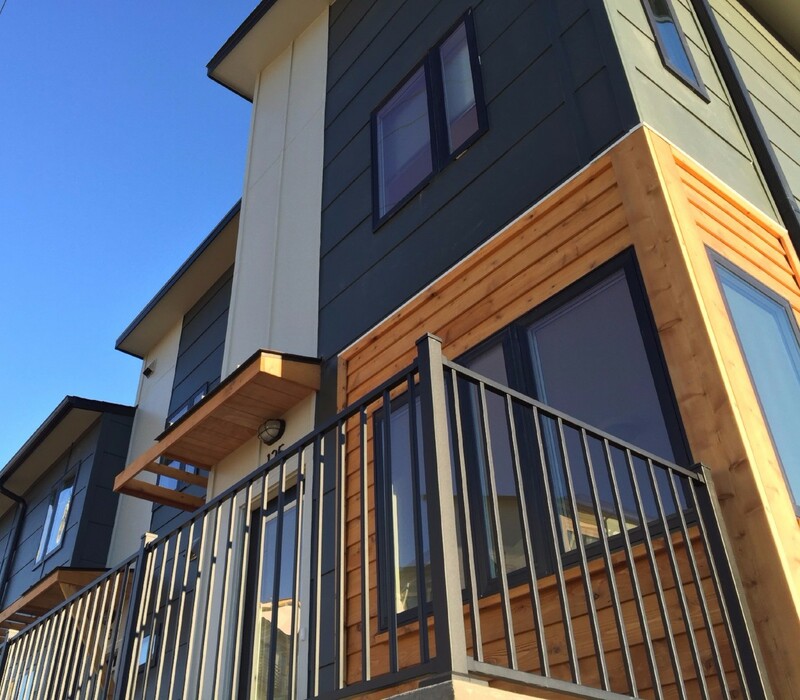 Habitat has completed 6 Habitat homes to date on infill lots along Cleveland Avenue, infusing homeownership opportunities into a predominately renter occupied neighborhood. Tucked away off of busy Fifth Street, homes along Cleveland Avenue feature large backyards, plenty of greenspace, and low traffic. Habitat plans to build one additional duplex in 2018-2019. Burnet Commons is a centrally located mixed-income neighborhood completed in partnership with Southern Development on a former City landfill site. The neighborhood features 25 Habitat homes, the last of which was completed in 2016. The neighborhood is safe and walkable with access to city transit, parks, and nearby amenities like the IX Art Park and the Downtown Mall. Belmont Cottages is a 14 unit mixed-income neighborhood in Charlottesville’s popular Belmont neighborhood featuring 8 Habitat homes and 6 market rate homes built by Dickerson Homes and Development. Habitat completed construction of its last home in 2014. The neighborhood is served by transit and is walkable to Fifth Street Station, Belmont Park, and the Downtown Mall. 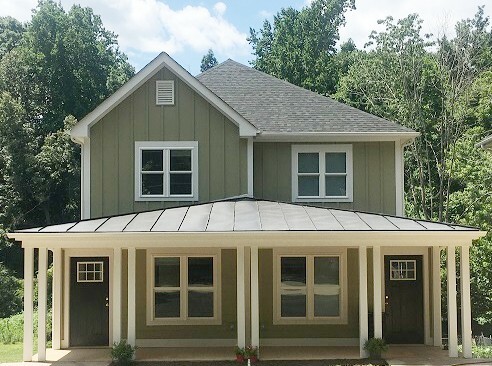 In 2017, Habitat completed construction of a single family detached home on an infill lot in the Locust Grove neighborhood, an upper middle income Census tract in the City of Charlottesville. The neighborhood is on a bus line and within walking distance to a neighborhood park, elementary school, the Rivanna Trail and the Downtown Mall. Wickham Pond is a large family-oriented, mixed income neighborhood just east of downtown Crozet. Community amenities include a trail system, playground, fitness center and a community club house. 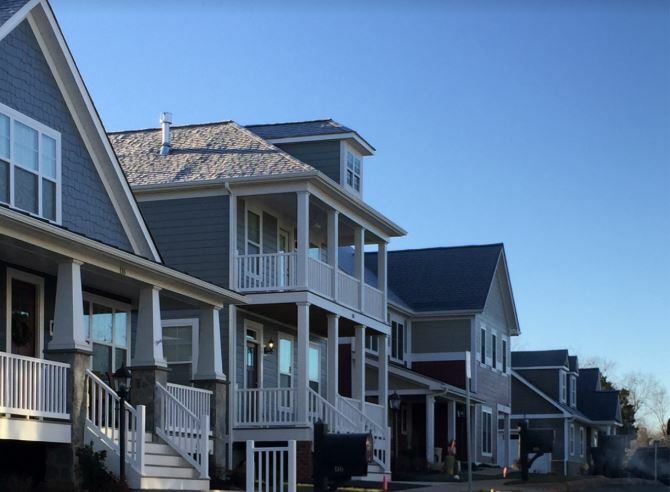 Habitat completed construction of six townhomes in 2017. The Charlton Avenue project consists of two single family detached homes in the Rose Hill Neighborhood. Both are three bedroom homes designed for single floor living. These homes are just down the street from Washington Park, and construction was completed in Spring 2018. The home on 10th Street was purchased as part of the Neighborhood Revitalization program and renovation was completed in fall 2018. The original main home was build in 1901; there were two additions and a number of upgrades made before we bought it.